Several NFL teams have some serious question marks in their backfield this season. Despite four weeks of exhibition play, several of these situations are not fully resolved. The first week of the regular season should go a long way to deciding who will get significant playing time. One of the more inscrutable backfields in football right now belongs to the Ravens. The prevailing sentiment heading into the season is that Justin Forsett will be the starter. It is unclear what percentage of touches Forsett will garner in this role, however. Terrance West and Kenneth Dixon have both looked good in the preseason. West has looked strong in preseason action, while Dixon is out with an injury. Javorius Allen is a constant threat to eat up the touches on passing downs. He has a proven track record, albeit no an impressive one. Week 1 should shed some light on the rotation that coach Harbaugh will be using. For the moment Forsett is the best bet for fantasy purposes. Going into the season I had listed Jamaal Charles as one of the riskier picks among early round players. His return from injury has been slower than predicted and Spencer Ware looks like a bonafide number one back. Numerous sources have reported that coach Andy Reid was planning a time share for week 1. As it stands Charles may not even be ready to go, making this a moot point. The fact that carries are going to be shared should concern fantasy owners that spent a high pick on Charles. Spencer Ware is an excellent waiver pickup at the moment, although he is quickly disappearing from waiver wires. Week 1 should see Ware run wild over the weak Chargers' defense. How the situation progresses from there will likely depend on the health of Charles. Can Rawls fend off perennial hype-machine Christine Michael? The Seahawks have an embarrassment of riches with two potential starting running backs on their roster. Thomas Rawls proved more than capable of carrying the load last season before succumbing to injury. Christine Michael has limited game experience, but nearly limitless talent. 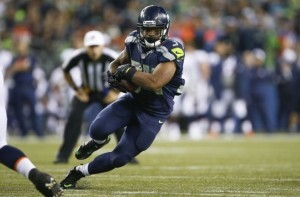 The Seattle coaching staff has been talking up Michael throughout the preseason. The question now is whether they are going to work him in, or they wanted to motivate Rawls. All indications are that Michael should see a fair amount of game action. He makes another intriguing waiver wire pickup in leagues where he is still available. If he comes up big in the first matchup of the season, Michael will not likely be available anywhere for long. Avert your eyes, this running game may be truly ugly. Starter Matt Jones had some hopeful owners investing in his services this offseason. He was given the starting job despite ball security issues and general ineffectiveness. At the moment, Jones is working his way back from a separated shoulder. There is a chance that he will not be ready to go for week 1 of the regular season. Many analysts assumed that rookie Keith Marshall would take over in the event of an injury. At the moment Marshall is out for at least three weeks with an injury. This opens the door for undrafted rookie Rob Kelley. Kelley has looked strong and decisive in preseason action. If he is still available Kelley is a strong speculative waiver add.